Peanut Butter and Jelly Thumbprint Cookies are all of the goodness of a PB&J sandwich in a beloved melt-in-your-mouth, easy Christmas cookie recipe! I have super fun Christmas cookies and quite possibly the best giveaway to ever happen on Wishes and Dishes here for you today and just in time for the holidays (145$ value)! You know you want to win your very own Hamilton Beach stand mixer PLUS a hand mixer all in one shot…who wouldn’t? 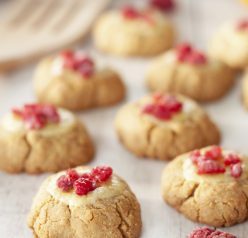 If you’re not into baking, there is SO much you can do with the stand mixer other than Peanut Butter and Jelly Thumbprint Cookies and other baked goods. 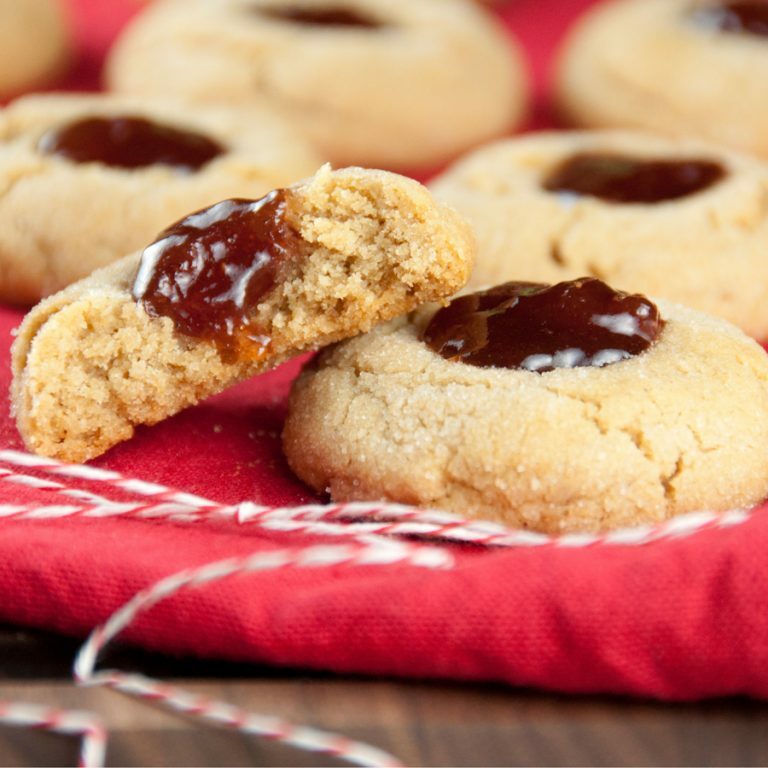 These Peanut Butter and Jelly Thumbprint Cookies are a must on the holiday cookie list! They are seriously SO good and such a classic. Who doesn’t want their childhood favorite snack/lunch turned into a cookie? Everyone who gets the pleasure of tasting these will absolutely adore them. I can’t help but smile when I eat anything PB&J related. Have you tried my PB&J Cookie Cups yet? By the way, you can use any jam in place of the strawberry flavor if that’s not really your thing. I know what you’re thinking: “shut up and get to the giveaway already”. 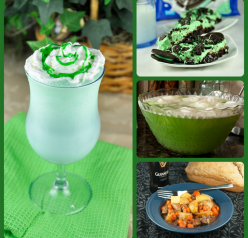 What I loved most about the hand mixer was….pretty much everything. It’s lightweight, but didn’t feel cheap at all. I love the snap-on case – this means I will never misplace my attachments again! I’m about to admit something that’s kind of pathetic, being a food blogger and all. For the past 8 years I have been using a generic hand mixer that has only worked on the highest speed setting. Yes, that’s right. If you have tried to mix anything containing flour with a hand mixer on high speed you can see why that is a problem (and probably create a funny visual in your head). There is not one inch of myself or my kitchen that isn’t covered with flour every single time. 6 attachments that come with it – twisted wire beaters, milkshake mixer, dough hooks, and whisk. Awesome! Next, this beast of a stand mixer. This thing means business. 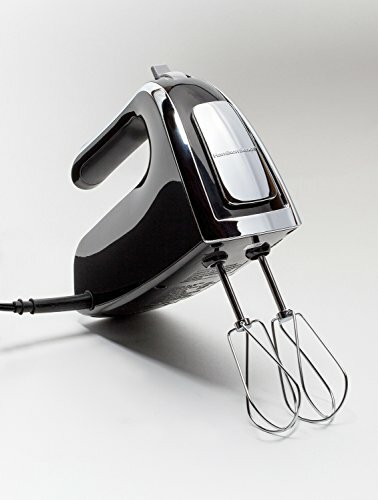 It has the same mixing action as KitchenAid® stand mixers, but much more affordable ($109.99), and can handle the thickest of cookie doughs. 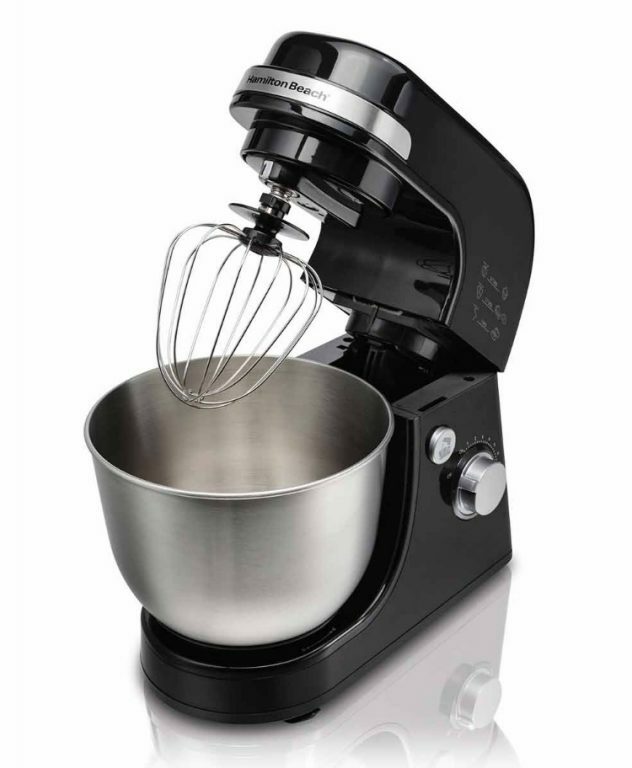 The mixer comes with three attachments for mixing versatility: a whisk, dough hook, and flat beater. A helpful guide printed on the mixer gives you an idea of what speed you should use with each attachment. Includes splatter shield – great for the messy baker! Thanks to a very generous person at Hamilton Beach, one lucky Wishes and Dishes reader is going to receive their own stand mixer AND hand mixer! You will be all covered in the area of kitchen mixers for the rest of your life. Make these delicious Peanut Butter and Jelly Thumbprint Cookies and also scroll down to the giveaway form for your chance to win! It’s so easy! If you aren’t the lucky winner, this slow cooker is available on their website. Preheat oven to 350 degrees. Whisk together flour, baking powder, baking soda, and salt. In the bowl of a stand mixer or with an electric mixer, beat peanut butter and butter on medium speed until smooth. Add both sugars and beat until light and fluffy. Add egg and vanilla, and beat until incorporated. Reduce speed to low. Gradually add dry ingredients to wet ingredients, and mix until fully combined. Scoop level tablespoons of dough, and form into balls. Roll each ball in granulated sugar, and transfer to parchment-lined (or line with silicone mat) baking sheets. Space them about 2 inches apart. Bake until cookies are puffy, about 9-10 minutes. Remove from oven, and make indentations in centers by pressing with the handle end of a wooden spoon or a wine cork. Return to oven, and bake until edges are golden, 6 to 7 minutes more. Transfer sheets to wire racks, and let cool completely. Heat up the jam in a small saucepan on the stove, stirring until loosened, about 30 seconds. Spoon about ½ teaspoon into each cookie indentation. Cookies can be stored in a single layer for up to 1 week. Enjoy! Deadline: Friday, December 30th at 11:59 p.m. (EST). I’ll announce the winner on Saturday 12/31. Good luck, everyone! Disclaimer: Hamilton Beach provided me with the two mixers to facilitate this post and is providing the giveaway products. The words and opinions expressed in this review are strictly 100% my own, as always. I have made these numerous times,they are really yummy and soft! I’ve made them with grape jelly and strawberrie preserves and raspberry preserves!! I’m very partial to the raspberry myself,but whichever you choose,you can’t go wrong with these PB&J cookies!! 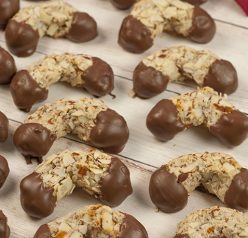 What a great idea for flavor combo in these fun cookies! Oh these are pure genius! Who wouldn’t love a couple of these cookies? I know I would! Thumbprint cookies are a must at our house for Christmas! And peanut butter + jelly??? Awesome. Merry Christmas Ashley!! Jam thumbprints are so simple and so pretty. I can’t get enough of them! 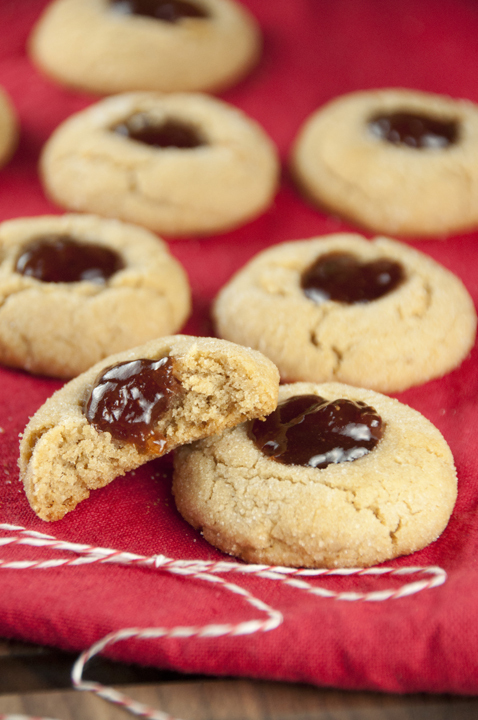 I love jelly thumbprint cookies, and you just made them even better. They just scream Christmas to me! I have never made these thumbprint cookies before. I am planning on making these cookies.